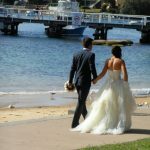 There are so many beautiful ceremony locations on and near Sydney Harbour. Favourite spots at Kirribilli with Sydney Harbour Bridge and the Opera House as backdrops. 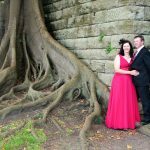 Then look behind you and there is fabulous sandstone and Moreton Bay fig trees that create an interesting background. Lots of nice spots at North Sydney, Sydney City (endless options including Royal Botanic Gardens, Opera House, Miller’s Point – then, a little further afield in Balmain, Birchgrove, Glebe, Hunter’s Hill and glorious Eastern Suburbs locations all the way to Watson’s Bay and south through Bondi, Clovelly, Coogee, Maroubra and Little Bay. 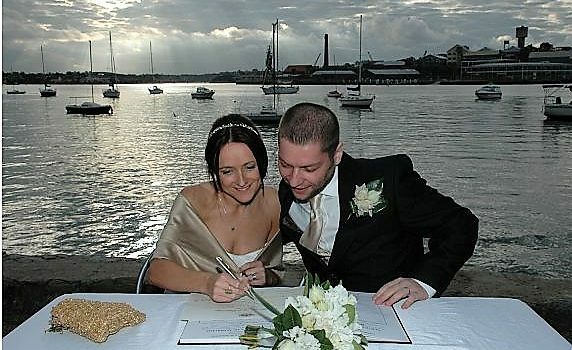 Sydney’s inner west has many beautiful parks, bays, restaurants and venues for your nupitals. 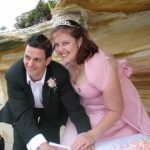 I’m happy to share location ideas. 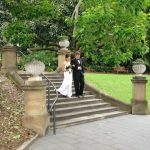 Sydney wedding couples are truly blessed with so many beautiful locations. 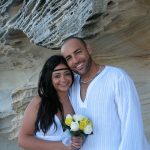 Celebrant Joy tip! 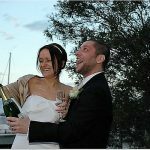 Remember, if you are planning an outdoor ceremony, it is important to have a wet weather option. 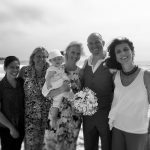 I like to work on the theory that if you have a backup plan, you won’t need it! 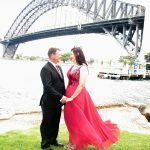 Bride upstages Sydney Harbour Bridge! Love this public yet private wedding location! 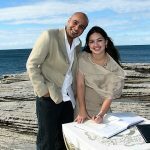 Sydney Harbour wedding and free location! 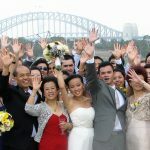 So much love at this Sydney Harbour wedding! Another Joyful Occasion!